A towed narrow boat, with a composite construction of wrought iron with a wooden bottom, DIAMOND was built by John Crichton & Co. Ltd. of Saltney, Chester for the Midland & Coast Canal Carriers Ltd. of Wolverhampton. She passed to Fellows Morton & Clayton in 1938 following a takeover by that firm. After being bombed in Birmingham in 1944 she was sold as scrap to Ernest Thomas. However she was renamed HENRY and used to carry coal before being sold to Caggy Stevens and renamed SUSAN. She was separated into stern and bow during her life and was reunited at the Black Country Museum by Heritage Engineering in 1980. 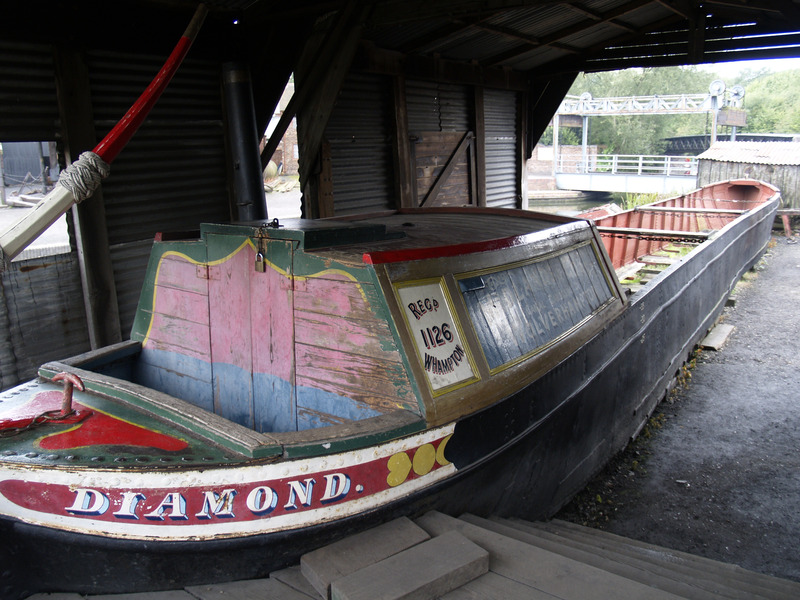 DIAMOND is one of six boats built by J Crichton for the Midland & Coast Canal Carriers. The aft cabin was fitted out by Ken Keay of Peter Keay & Son of Walsall to demonstrate living conditions for a working boat family.